Last year, poker history was made when the first-ever international poker tournament was held on the island of Cyprus. This year, there are hopes of going above and beyond by holding the largest-ever international poker tournament there again. Day 1a of the second annual Full Tilt Poker Merit Cyprus Classic Main Event looks promising to meet those goals because the starting field of 109 is 18 greater than the 91 who took to action last year. It was a fun-filled day of poker on Friday, and Nicolas Chouity emerged as the largest stack in the room when play ended at night. Chouity’s day was rather uneventful, but that all changed in the last level just before play ceased. He was the beneficiary of an -versus- confrontation to see his stack boom to about 120,000. The official number on his bag at the end of the night was 119,600, and that’s bigger than any other number in the room. There were a few other big-name players who had prosperous days on the felt. Chip Jett finished the day with 80,750 after doubling up early with a set of sixes versus a big combo draw while Kelly Kim wrapped up with 48,025 and Van Marcus bagged up 67,500. When the day ended, 80 players still remained. A few of those unfortunate souls to exit the tournament on its opening day were Tommy Vedes, Julian Gardner and Huseyin Yilmaz. 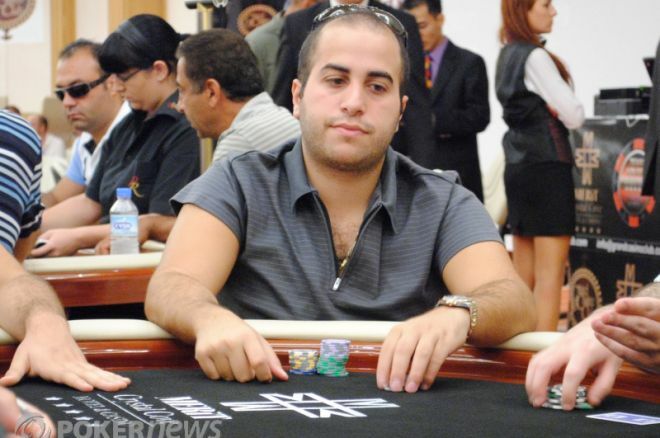 On the other side of the coin, Michael “The Grinder” Mizrachi, his brother Eric Mizrachi, Chino Rheem, Dave Colclough and recently minted November Niner John Racener are all moving on to Day 2. The second and final flight of starting days kicks off Saturday at a scheduled time of 2 p.m. local time. Whether or not things will start on time is yet to be determined, but you can bet that our PokerNews Live Reporting Team will be on hand to bring you all the action from the tournament floor. There’s still plenty of big-name players roaming around the resort whom we have yet to see take to the felt, and you can bet that they’ll all be in action for Day 1b.